Hey, it's Barb with BugBites with a cute project to share with you today. A couple weeks ago, I posted a card with a zebra on it that I stumbled across while browsing the DMW store. It was hidden among some alphabet letters. Well, I am here to share another image I found in the same place but this time it was in the Letter N file. Check out this super sweet nurse, Now ya just gotta feel better when she smiles at you. I colored her up quickly using the cameo and then added a grey mat border before cutting her out. 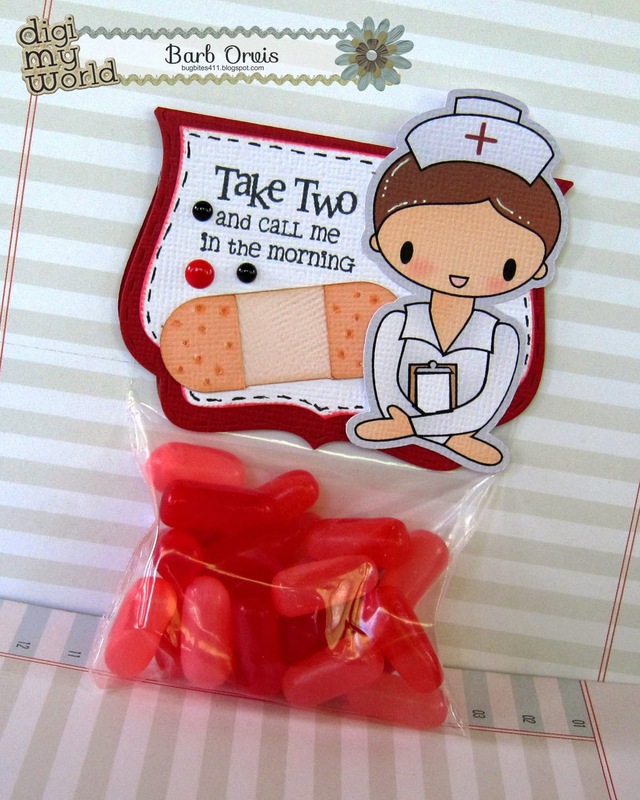 I decorated this little get well package with a topper using the Jaded Blossom Fancy Topper Die, the SVG cutting Files Kawaii Bandaid and a sentiment from the Jaded Blossom Get Well Soon stamp set. I filled the treat bag with red Mike and Ike candies. They look like large pills. It's my week for posting and I'd like to share a card I made using the Travel the World set. My daughter began a new job which will be requiring some travel and she just got her first passport so I made this card with her in mind. This set has lots of great images for you to use. When you import the png files into Word, it's really easy to create a scene by moving images to the front or back and sizing them to meet your design needs. This set can also be purchased as a clip art file. Hello Everyone! 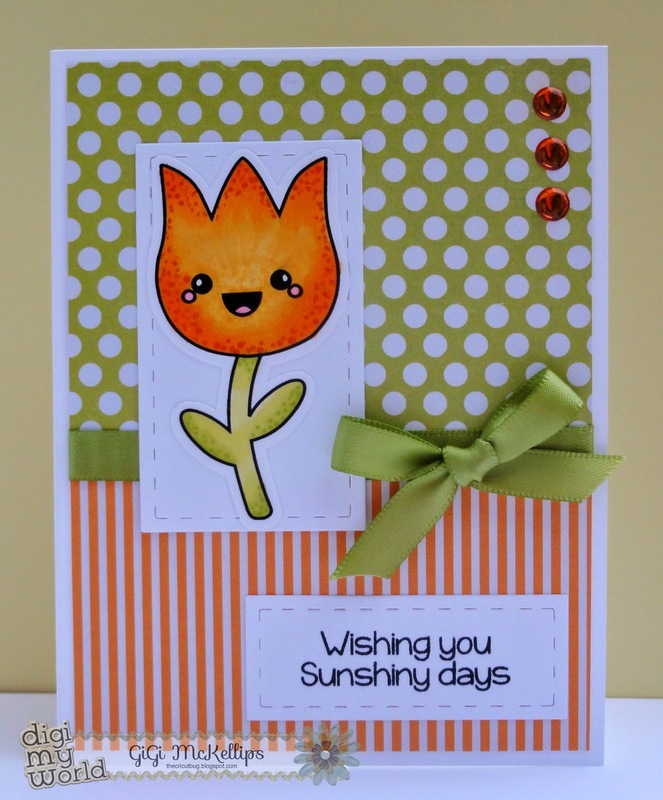 Melissa from Doxie Mel Designs with a card for you today. 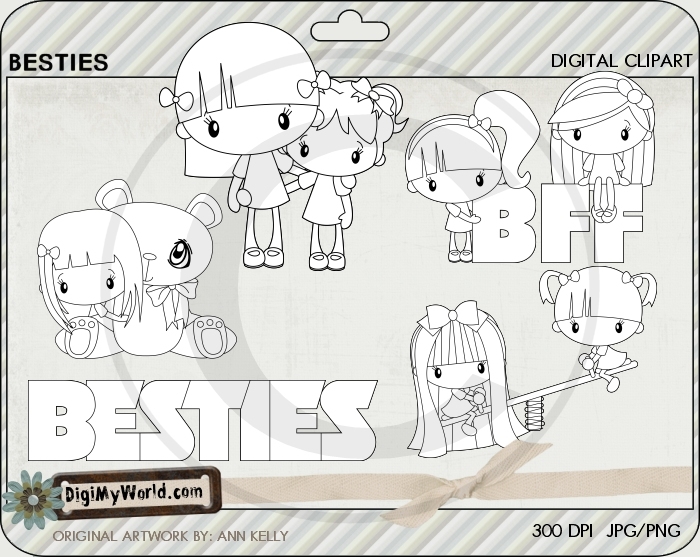 I was first drawn to Digi My World because of the cute dogs to color at the store. My current puppy is from a dachshund rescue and he has such "personality". (If you have ever owned a dachshund... you know what I am talking about.) If you are interested in a dog, check out the rescues in your area. 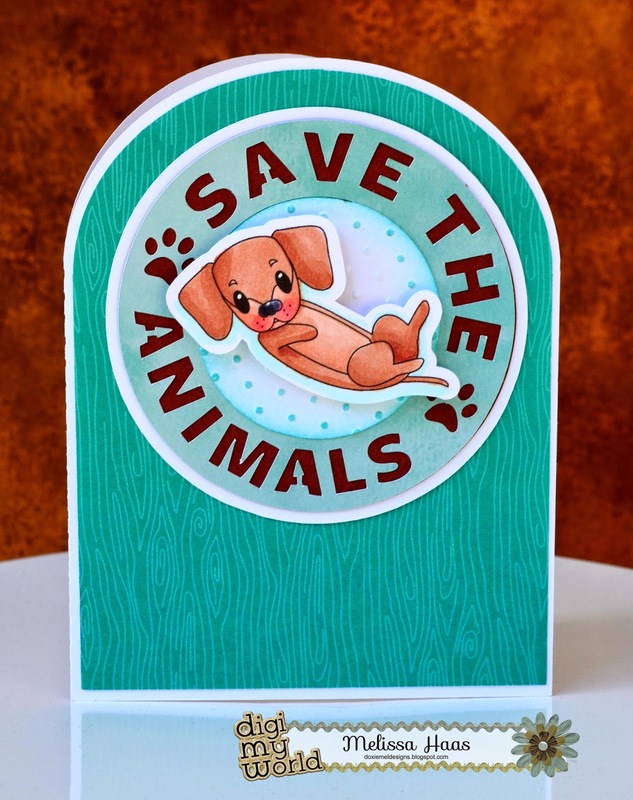 Here is my card made with the dachshund set, "rub my belly" pose. to Save the Animals Hop. It's Sandy here from, A Little Piece Of Heaven! 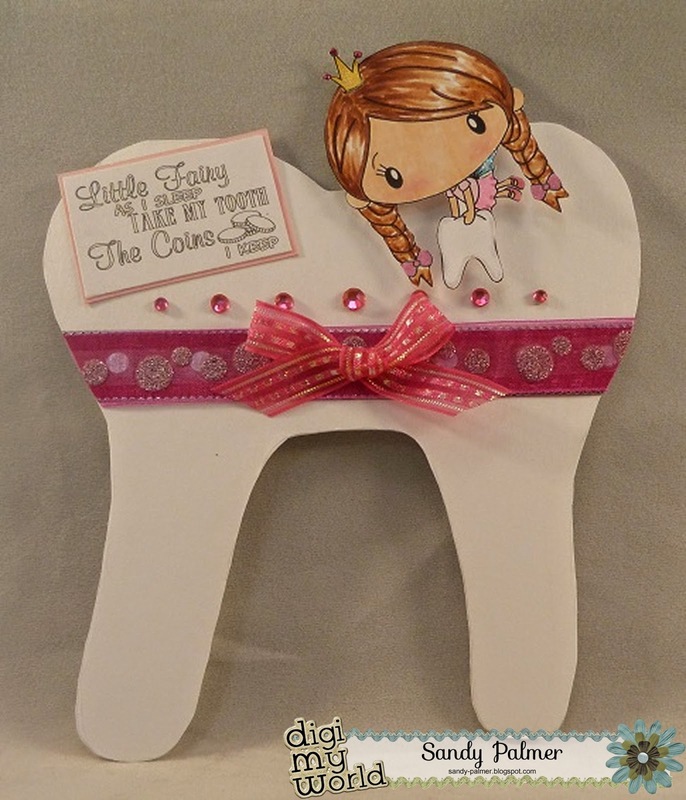 Today I am sharing with you a tooth fairy card that I made! Since I have 5 granddaughter's who all are at a very young age, and who happen to all live close by, I am sure this card will come in handy any time now! I hand cut the tooth! Not exactly sure about the shape, but thought it was a cute idea for a card! The sentiment and the image are all from, #DS-198 Tooth Fairy! 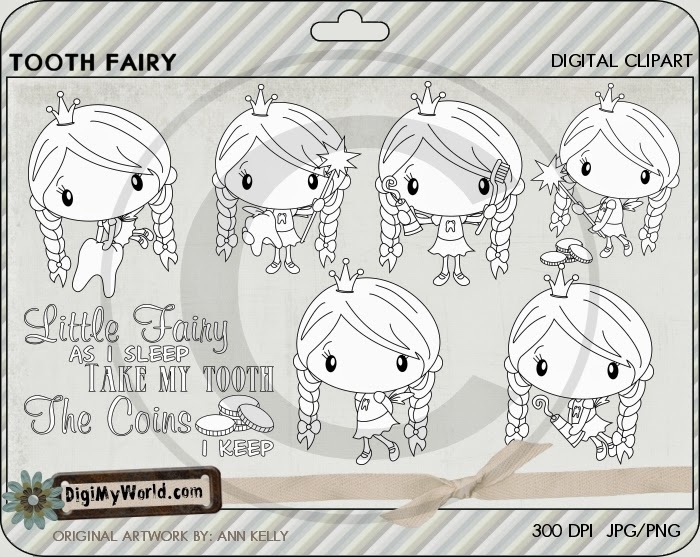 Annie has two different sets called tooth fairy, so you want to make sure you are specific with which one you choose! Look at how many images this one comes with! Love this set! They are all so adorable! Anyway, that's it for today's post! Hello everyone! This is GiGi from The Cricut Bug and I have a cheerful card to share. I used the Kawaii Flowers Digital stamp set for this card. 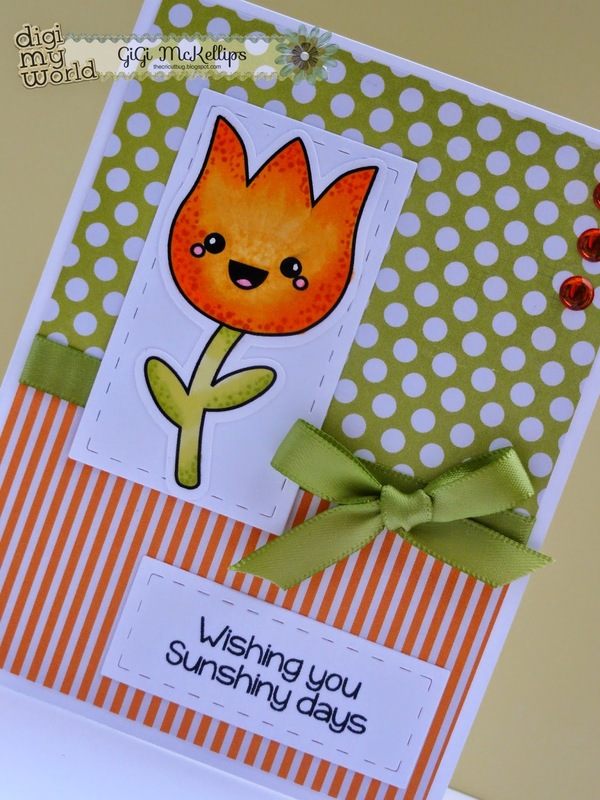 This card is so bright and cheerful it just makes me smile. I printed and cut out the Kawaii Flower using my Cameo. I colored it with Copic markers and added it to a mat that was cut using the Jaded Blossom Card Mat Dies. I added some ribbon and bow to the center of the card before adding my stamp and mat. I cut the sentiment mat from the Card Mat Dies and stamped the sentiment from the Happy Summer stamp set. I hope you enjoyed seeing my card and thanks for visiting! Good Evening/Good Morning Everyone, Hope you all enjoyed your weekend. Kate here with you today..I'm back from a very long Time Off. For my Project today I used the Scoops of Fun.. 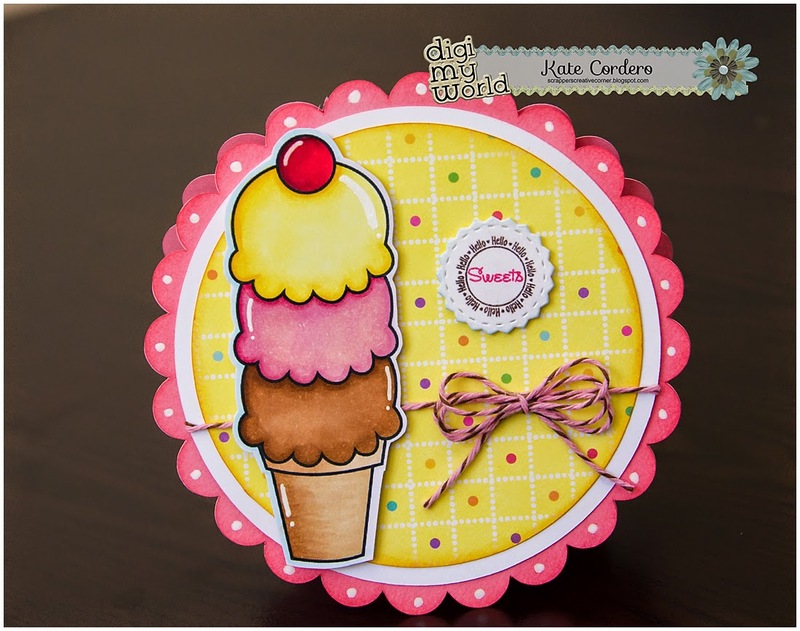 Looking at it is just making me want some Ice Cream right now, lol..
For my Card Base I used SVG Cutting Files Circle Trio Card Base. The paper is from Echo Park I think either last summer or 2 summers ago. I used Jaded Blossom Candy Charms and Banner Die and Hello Candies. Barb with BugBites here and boy am I excited to share a cute file that I stumbled upon recently. 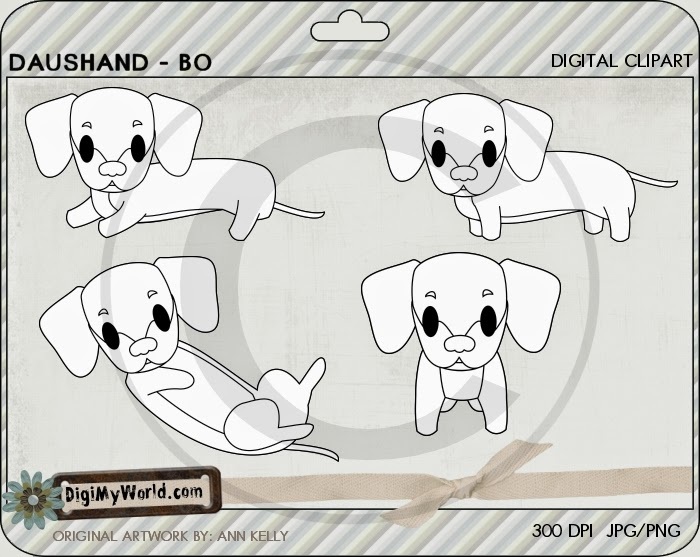 I was scanning the Digi My World store and came across some this super sweet little zebra. I just had to use it on a card. The zebra is part of a stamp and digital art set called Letter Z. I know- not at all what you would expect. 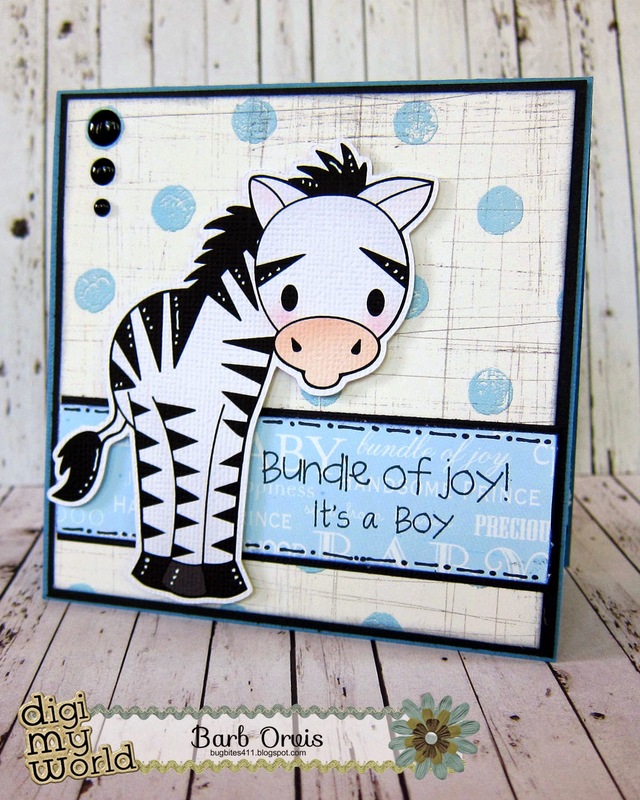 I did this card very simply but using the print and cut feature on the cameo for the zebra and added him with foam tape on top of some pattern papers. Be sure to check out all the fun images hidden the in the alphabet letters. You are sure to find some real treasures. It's Larelyn from Handmade From My Heart. 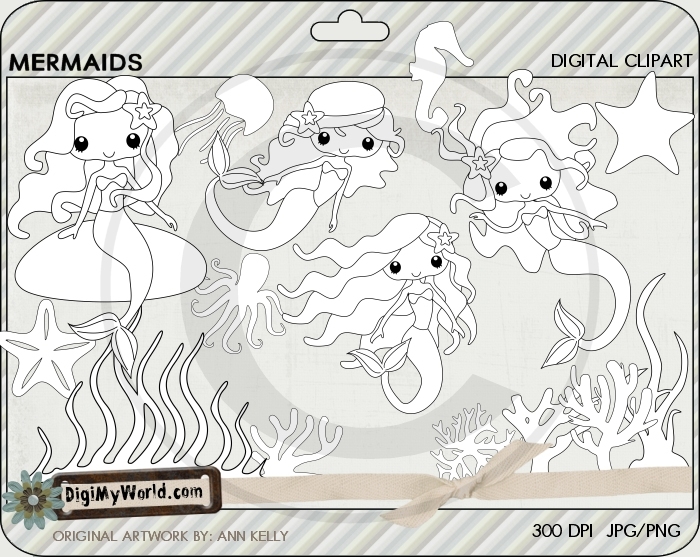 I'd like to share a cute summer project using the Digi My World Mermaids set. I added my mermaid to Jaded Blossom's new Candy Caddy die and also used the Ticket Book die and a sentiment from the Happy Summer set. The little fish is part of the Fish On set. I also used my own homemade crinkle ribbon and some Queen & Co. Bubbles. The waves were cut using a border punch and I colored the mermaid with Copic markers. Aloha! Melissa here with you today with a new card. The image is is from the Luau set. She is printed on white card stock and colored with Copic markers. The card mat is a die from Jaded Blossom was used to cut the layers for the card. Hi, it's Sandy here, from A Little Piece Of Heaven! I have noticed that a lot of blogs have Christmas in July, so I thought I would join in on the fun! 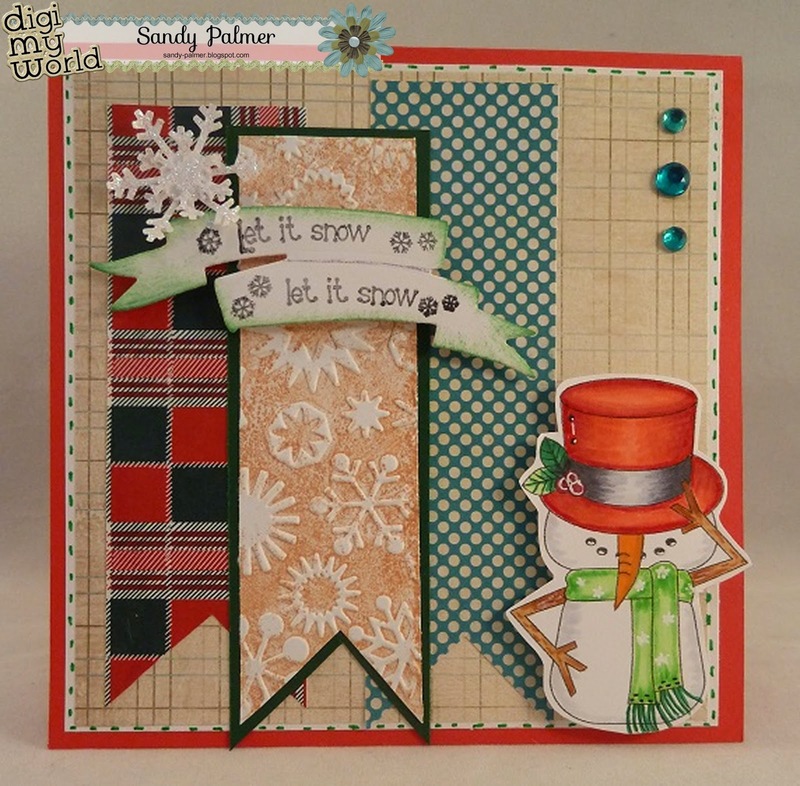 I used Cuttlebug, "Snowflakes", and Marianne, COL1325, which is the banner cut out, and the sentiment! Basically, I used up some of my scraps, and colored with my Copics! Hello everyone! This is GiGi from The Cricut Bug and I have a Christmas card to share. 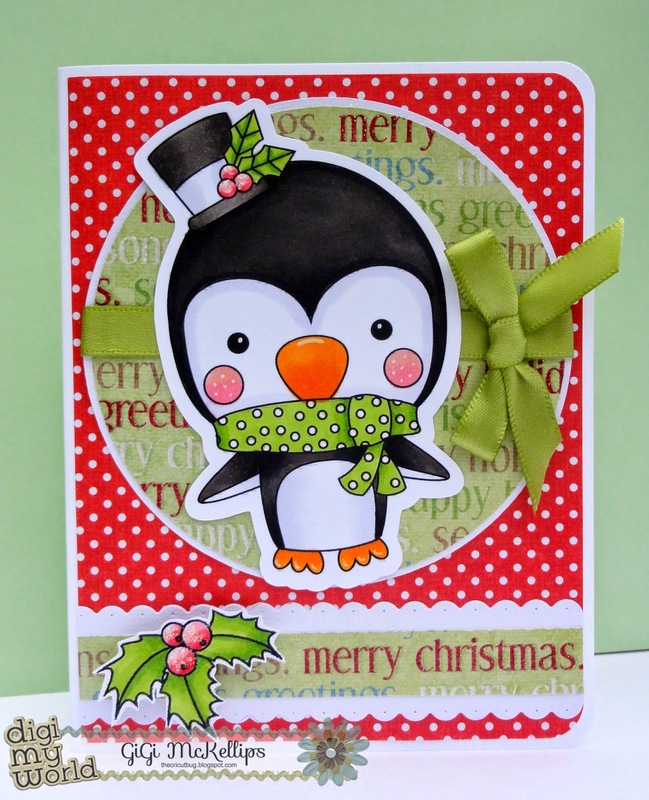 Being that it's a tradition to do Christmas in July, I decided to make a fun penguin card. I printed and cut out the penguin from the Chibi Penguin digital stamp file. I colored him with Copic markers and added some highlights with a white gel pen. 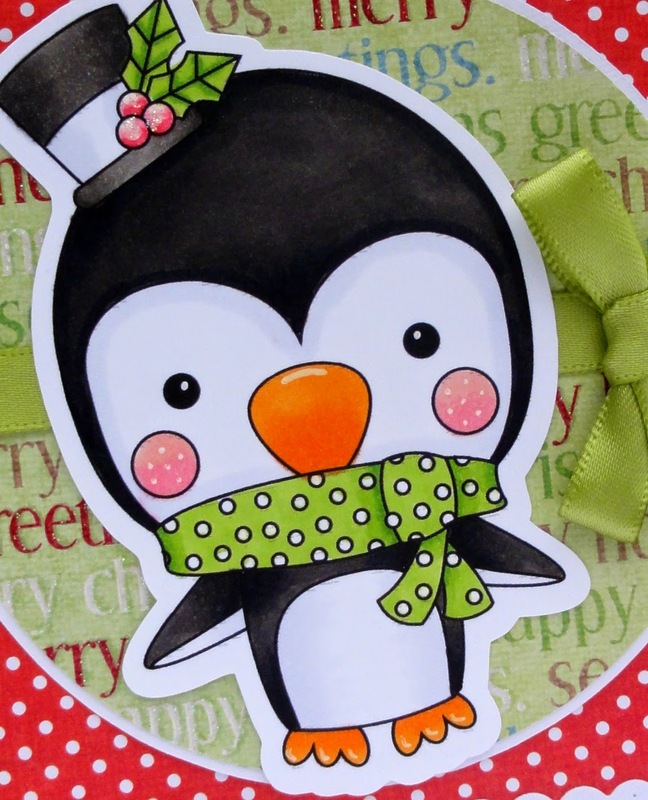 I cut circle mats with my Cameo and added a bow to it, then added the penguin on top. I cut out the scallop border strip using the Jaded Blossom Candy Wrap Dies. I let my pattern paper do the job for the sentiment and added a stamped and colored holly leaf to the corner. I hope you all enjoyed my card and thanks for visiting! Barb here from BugBites and I hope you are enjoying this long holiday weekend. I have an Independence Day card to share with you today in honor of this summer holiday celebration. I used the digital stamp file called Stella's Valentine. I simply modified it for the summer holiday by coloring the stripes and stars on the heart she is holding. I stared with a basic A2 card base and used an EK punch to create a scalloped edge on each side, layered up some pattern papers and added some stars. 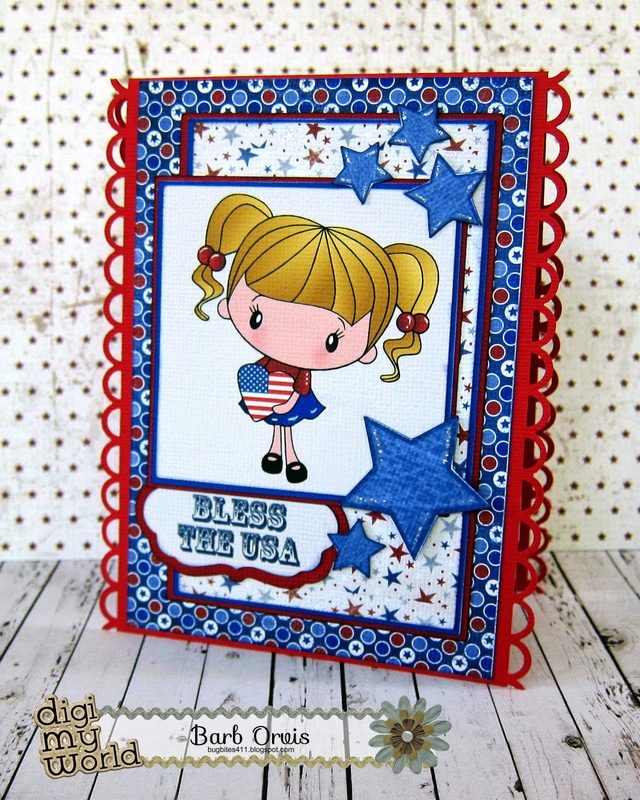 The sentiment can be found on the Jaded Blossom Celebrate America stamp set. Have a wonderful and safe holiday weekend!! 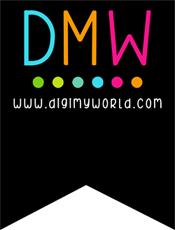 Larelyn here bringing you another cute image from Digi My World. This is from the Besties set found HERE. This is such a fun set. It also comes in Clip Art if you're not wanting to color the images yourself. The sentiment is from Jaded Blossom's Simple Sayings Candies set mounted on one of JB's Candy Charms and Banners dies. Good Morning! Melissa from Doxie Mel Designs with a card for you today. 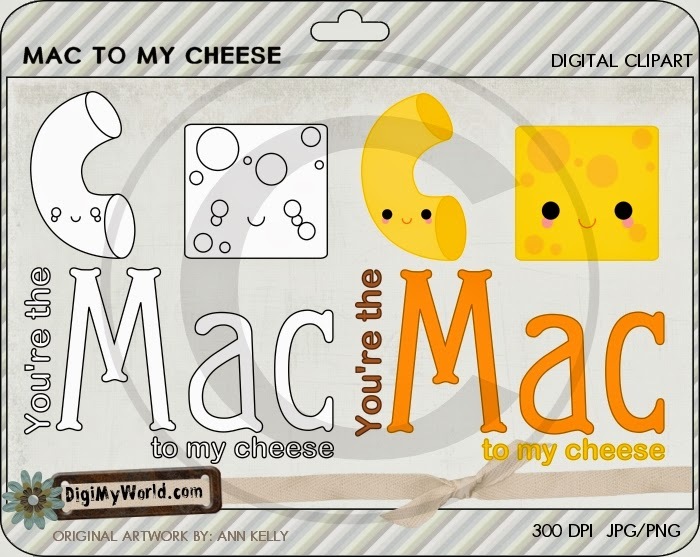 I found this "Mac and Cheese" digi stamp at the Digi My World store. The set also comes with a print and cut version but I colored these with my Spectrum Noir Markers. I printed the image and hand cut them... GASP! These happy friends are on a card base that I found at SVG Cutting Files. The sentiment is from Jaded Blossom. Thanks for stopping by today- Have a great week!